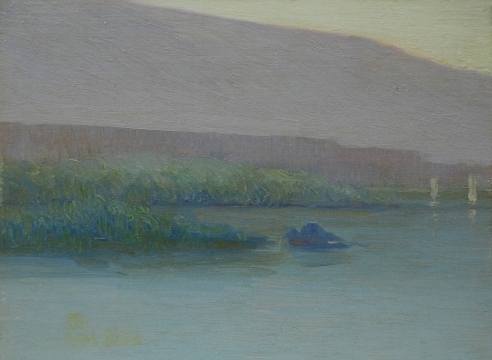 Leon Dabo (1864-1960) was a vigorously productive and successful artist who began his career in the early 1890's as a master muralist working on large commissions in public institutions, churches and synagogues in New York, Brooklyn, Long Island and Philadelphia. 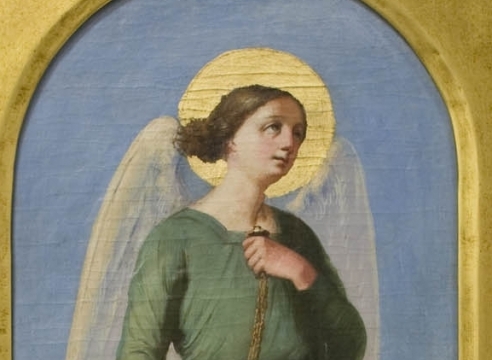 During that period, he worked under the direction of John La Farge (1835-1910), then one of New York's most respected artistic innovators and technicians. 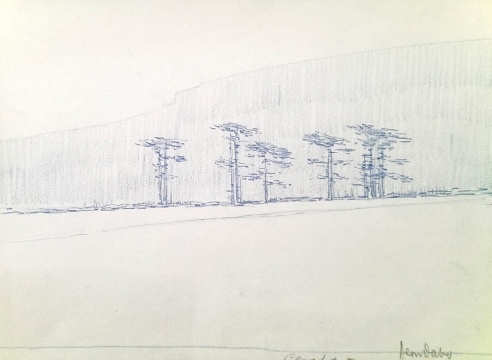 His first successful submissions into juried art competitions were made in 1901 to the 39th Annual Exhibition at the Bridgeport Public Library and the 76th Annual Exhibition at the prestigious National Academy of Design in New York. In the next few years, Dabo may have submitted to major annual exhibitions around the country, but was apparently rejected, a rejection he would recount for years. Still, recognition was close at hand. In May of 1905, he had five paintings accepted for the Winter Exhibition at the National Arts Club in New York. This began an unbroken sixteen year string of one hundred and one public exhibitions that extended into the first years of World War I. 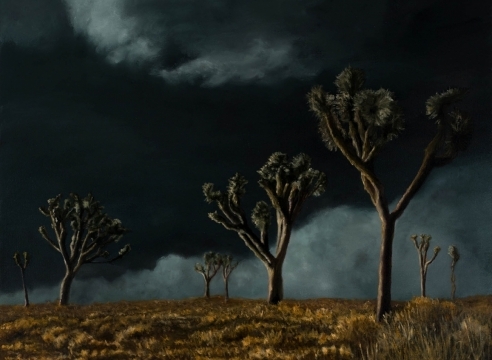 In this period, he exhibited more than seven hundred canvases in sixty-four venues, including thirty-five solo exhibitions. Few American artists could boast of careers with such success. 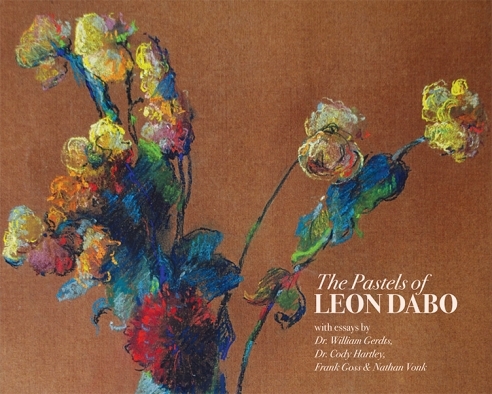 In this phase of his life, Dabo participated in two exhibitions that would change the course of American art forever: the 1910 Exhibition of Independent Artists organized by 'The Eight' and the storied 1913 'Armory Show' in New York, for which he was an organizer. Early in 1918, Dabo joined the war effort, eventually serving on General Hersey's staff. 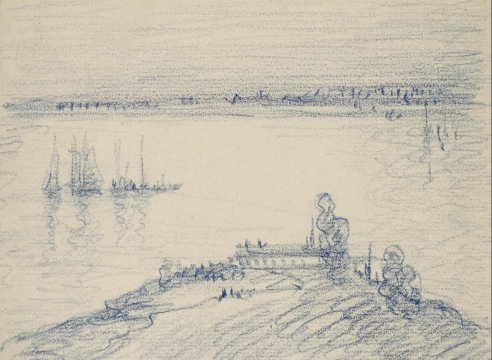 In March of 1919, he returned home and once again took up the brush. For More on Dabo's Service in WWI, click here. At fifty-five years old, he was no longer as phenomenally productive as he was in his earlier years. 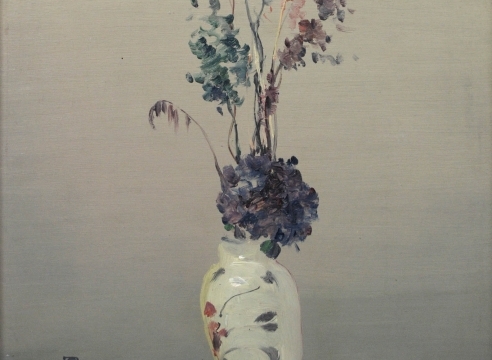 Between March of 1920 and June of 1939, Dabo participated in forty-two exhibits, showing nearly two hundred canvases in thirty-three venues. Prominent galleries like Knoedler & Co. showed his work and he was made a Chevalier in the French Legion of Honor for his contribution to the arts. He was also elected as an Associate Member of the National Academy. When World War II broke out in Europe, he and his wife were living in Paris, where he exhibited regularly in several galleries. He was unable to get his wife and his life's work out of the city before the Germans marched into Paris in June of 1940. There were a number of formidable problems for all Americans trapped in Paris without exit visas, but the seventy-five-year-old Dabo had additional complications. He was a distinguished veteran of the First World War, decorated for his participation in Verdun and the offensive at Sonne. 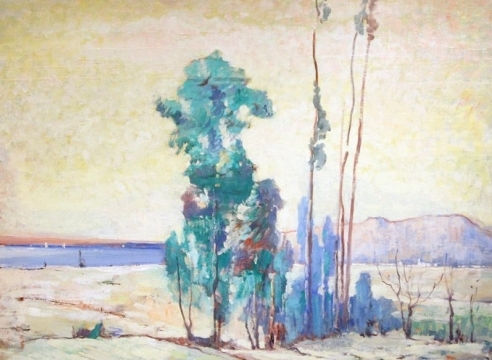 He also had his life's work - over three hundred canvases - that he wanted to save and bring back to the States. And, his wife, Stephanie Ofenthal, was Jewish. 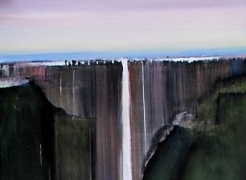 It took four months, but he got himself, his wife and the three hundred canvases across the border through Spain, to Portugal, and eventually back to New York. In 1941, Feragil Galleries of New York helped him publicize the struggle of the French people living under Nazi occupation and his own heroic escape with an exhibition entitled "When I Last Saw France." Many of the major U.S. newspapers reviewed the exhibition. 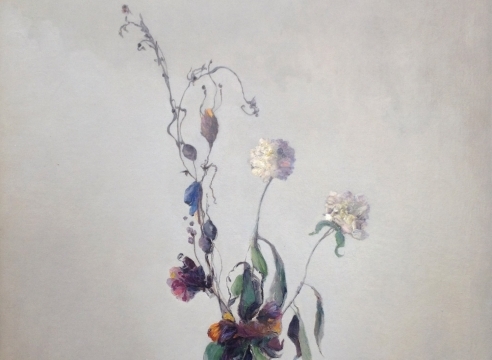 In the final twenty years of his life, a time for complete retirement, Dabo still managed to enter twenty-two exhibitions, where he showed more than fifty canvases, and was made a full signatory member of the National Academy. 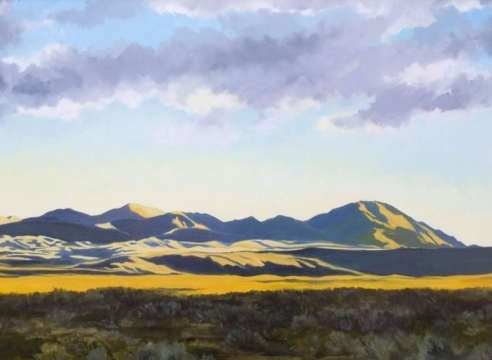 Though his health declined considerably in the last five years of his life, he managed to paint into his ninety-first year. 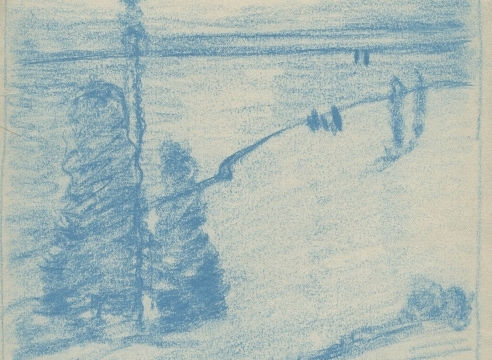 By the end of his life, he had exhibited over a thousand canvases. Solo exhibitions of his work in the United States were held in Los Angeles, Chicago, Indianapolis, Boston, New York and Washington, DC. Internationally, he had one-man shows in Montreal, London, Dresden, Berlin and Paris. Though Dabo was upset by early rejections, his lifetime record would be the envy of most artists. At the time of his death, his work was held in the permanent collections of fifty of the finest museums in the world, including the Metropolitan Museum of Art, the Smithsonian, the Mus'e d'Orsay and the Louvre. 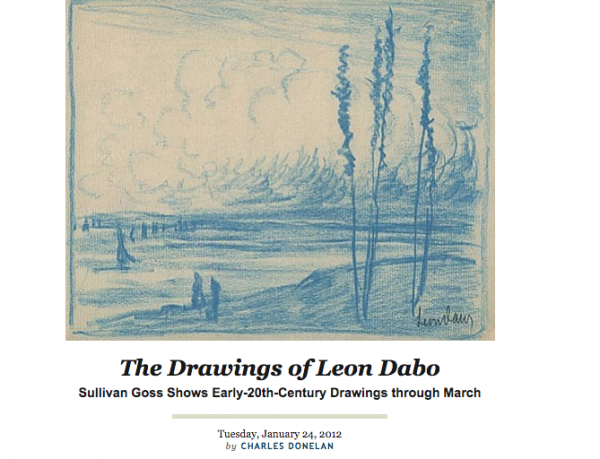 To inaugurate the fall art season, Sullivan Goss, An American Gallery will present an exhibition of paintings, drawings, and pastels from the Estate of French-born American artist Leon Dabo (1864-1960). 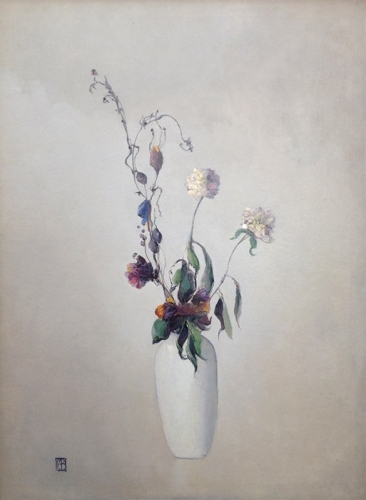 Leon Dabo was a pivotal American artist in helping to push the Romantic sensibilities in late 18th and early 19th century painting into new territory with the infusion of ideas from the Aesthetic Movement and its Asian art forebears, Symbolist painting, and Tonalism. 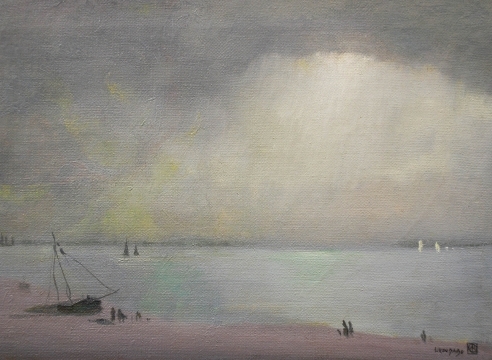 In practice, Aestheticism, Symbolism and Tonalism overlapped to a significant degree, and artists like James Abbott McNeill Whistler (1834-1903) and Leon Dabo are often talked about as having belonged to more than one of these schools. 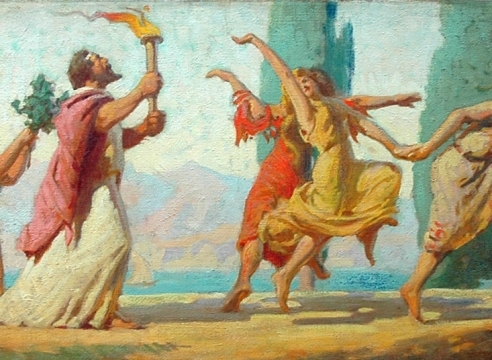 Dabo studied with the great Tonalist and Aesthete Whistler and with Pierre Puvis de Chavannes, the French Symbolist. 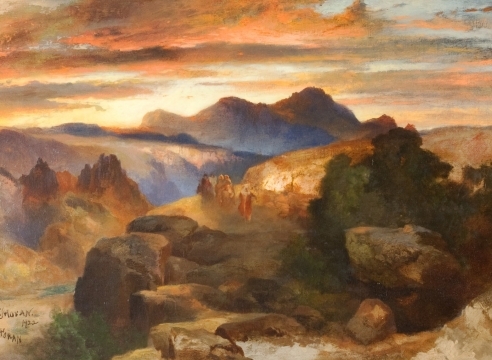 He also studied with John La Farge, from whom the younger artist learned about technique and the innate value of beautiful environments. 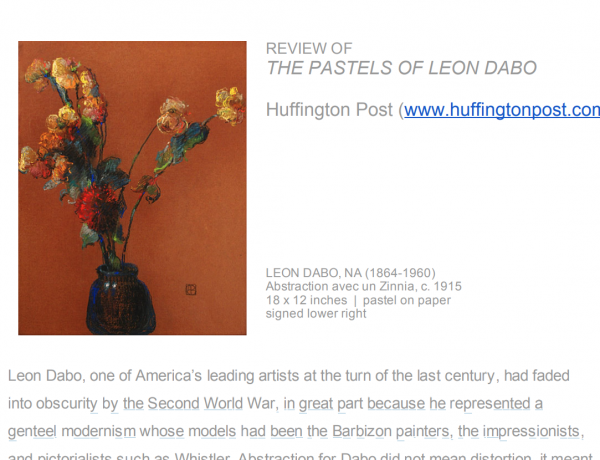 Dabo's art stayed true to the philosophy of "Art for art's sake," an expression so often ascribed to the Aesthetic Movement that also signaled the late nineteenth century shift in art's function from one of moral instruction towards one of poetic evocation and sensuous pleasure. 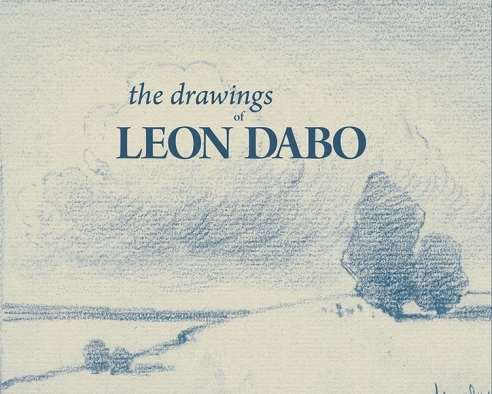 Gradually, Dabo's ability to ground his progressive ideas about art in the rigor of traditional Academic craftsmanship made him one of the more sought after artists in the early 20th century. His facility with both French and English and his strong cross-Atlantic ties made him an ideal choice to help organize the International Exhibition of Modern Art (also known as the Armory Show) in 1913, an exhibition that would change the course of art on both sides of the Atlantic forever more. 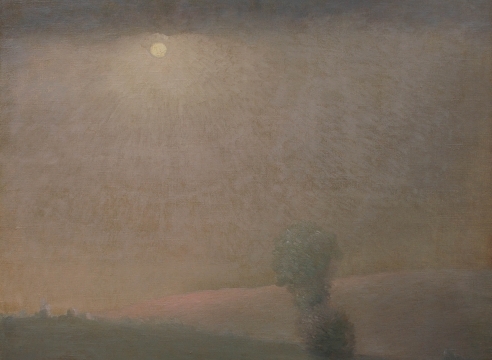 1909 - 1st Prize, Muncie Art Association, Muncie, IN for "Dawn"
1864 Dabo is born on July 9th. 1870 Dabo's family emigrates to the US, where his father begins to train his son in painting for architectural decoration. 1883 Dabo takes a job with architectural design firm, J&R Lamb, through whom he meets his first major mentor, John La Farge (1834-1910). In his off hours, Dabo studies at the Art Students League of New York. 1892-1904 Dabo returns to New York, where he takes up his association again with J&R Lamb and with John La Farge. He executes important commissions for the murals for St. John the Baptist Church in Brooklyn, the Capitol Building in Harrisburg, PA, the Holy Cross Church in Flatbush, NY, and he Roswell P. Flower Library in Watertown, NY. 1892-1904 Dabo has solo exhibits in New York, Boston, Chicago and Los Angeles before traveling to England with Alvin Langdon Coburn and George Bernard Shaw. 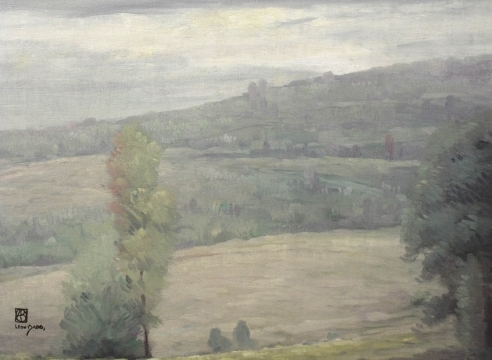 As a guest at the estate of Lord Ebury, Dabo painted Moore Park, which was later purchased by the Luxembourg, Museum in Paris, now in the collection of the Musee D’Orsay, Paris. More exhibitions followed at the Goupil Gallery in London and again at the National Arts Club in New York. 1908 Dabo shows three paintings in the Contemporary Art exhibit at the National Arts Club in New York where he is awarded the William T. Evans Prize. 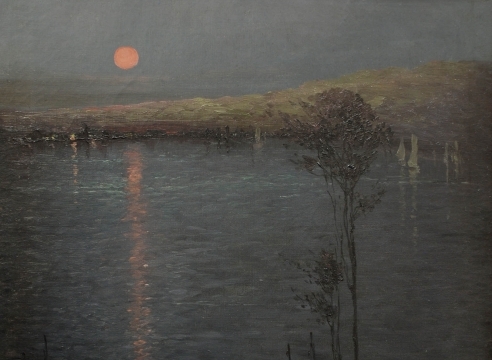 1909 William Evans subsequently donates Evening on the Hudson to the National Gallery of Art in Washington, DC. 1910 Dabo participates in the “Independents” exhibit organized by “The Eight” in New York City. 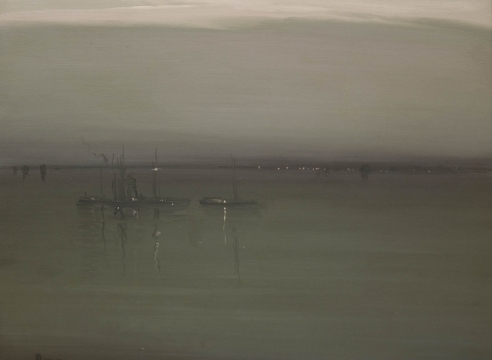 He also exhibits at the Allied Artists Association in London and at the Berlin Academy of Art to enthusiastic reviews. 1911-1913 Dabo becomes a founding member of the American Painters and Sculptors and helps organize "the Armory Show" of 1913, going so far as to host many of the preliminary meetings at his studio on 23rd street. 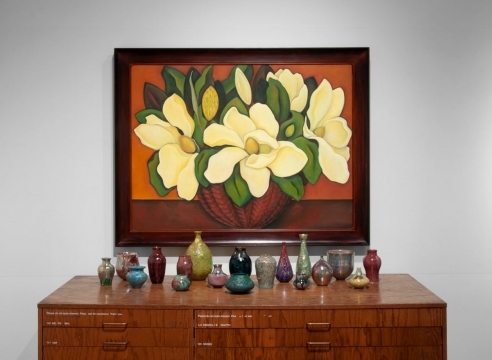 He exhibits four paintings in the Show, one of which is purchased by Mrs. Payne Whitney. In Richfield Springs, NY, he directs the transformation of an old sawmill into art studios for the Richard Montgomery Art Colony. He is also accepted into the permanent collections of the Luxembourg Museum in Paris, the National Gallery of Ontario, the Brooklyn Art Museum, the Boston Museum of Fine Arts. 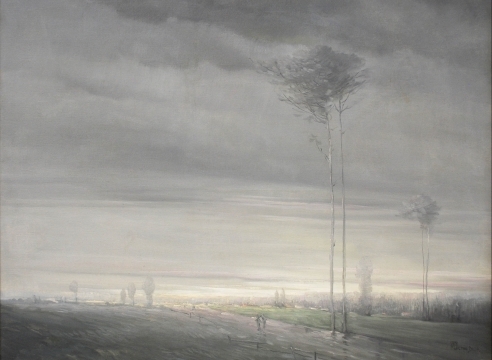 1914 Dabo's painting, The Cloud, is purchased by The Metropolitan Museum of Art, New York. 1917-1920 Dabo travels abroad as a member of the American Financial Mission to the allies. His linguistic abilities lead to service in the French, British and American armies as Captain during the First World War. When he gets home, he lectures extensively on art at Columbia University and the Metropolitan Museum of Art, NY. 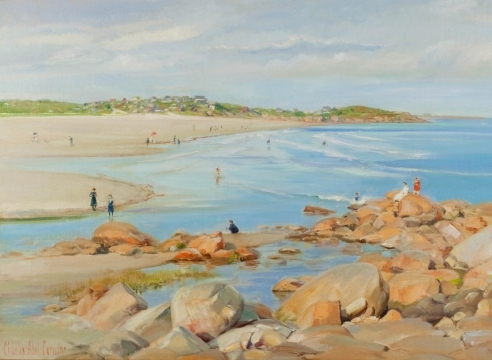 1921-1932 Dabo paints extensively along the East Coast, from Long Island sound to Maine, making many plein air études of still-lifes, works on paper, oil studies of clouds, rock formations, mountains, and the sea. 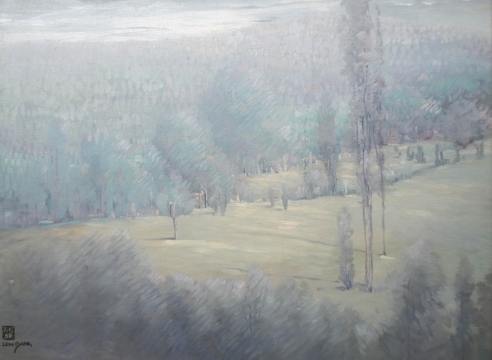 Starting in the late 1920s, he joins the artist colonies of Connecticut, teaching and painting in the Litchfield Hills from 1928 – 1932. 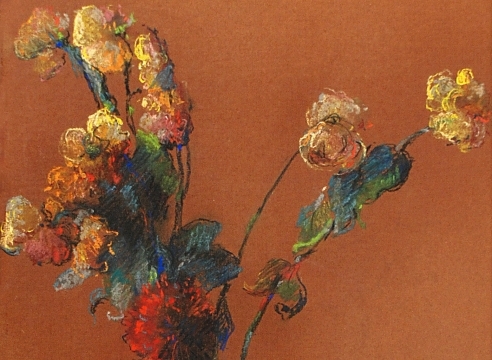 1933-36 Dabo exhibits his flower paintings and pastels at M. Knoedler & Company inNew York. 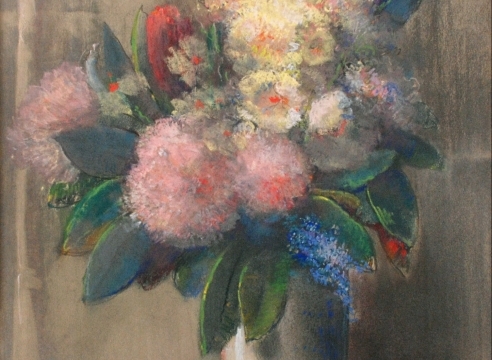 Many of these floral works show the influence of his early mentor John La Farge, his admiration of the symbolist Odilon Redon, his love of the Oriental Masters, and his contact abroad with the French Impressionists. 1934 Dabo is elected associate member of the National Academy of Design and is awarded the Cross of Knight of the French Legion of Honor for his contribution to art. 1937-1940 Dabo returns to France and establishes a studio is Paris. 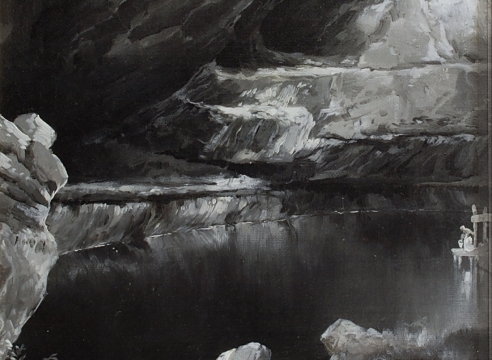 While in France, he paints the Normandy coast, the French Alps, Tallories, Lac Annecy. 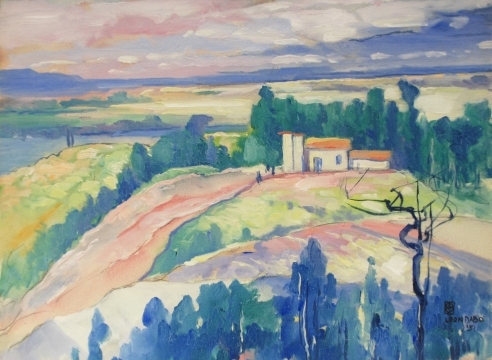 As the Nazi's hold growsw more restrictive, Dabo traveled to the south of France were he paints St. Tropez and Cagnes-sur-mer. He is awarded the Gold Medal at the Societé National des beaux Arts, Paris, and a Silver Medal at the Societe des Amis de Art, Versailles. Before leaving occupied France in 1940, Dabo aids in smuggling art works by Walter Sickert and Fernand Léger out of France and saving them from probable confiscation. 1941-43 Dabo returns to New York to paint the Hudson. 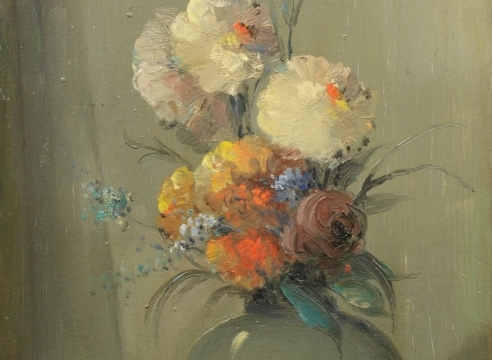 1944 Dabo is a elected an Academician of the National Academy of Design. 1948-51 Dabo returns to France for the last time. While there, he paints the French countryside, including a sizable number of canvases of Mont Sainte Victoire and its environs, a subject studied extensively by his old friend Cézanne. 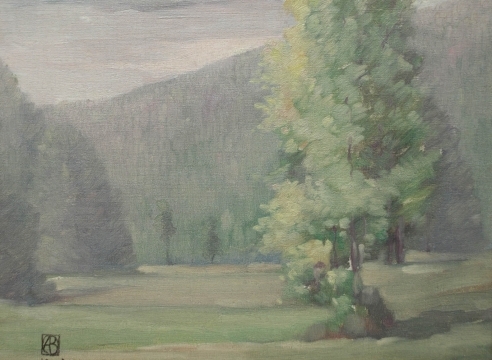 In 1951, he shows some of these works at Painters of Mont Ste. 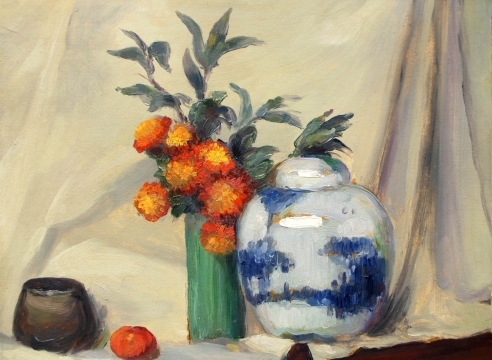 Victoire: Tribute to Cézanne, held at the Musée Garnet in Aix-en Provence. 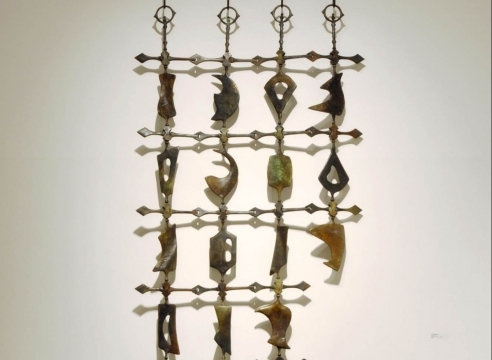 1960 At the age of 95, Dabo sees his work included in the fiftieth anniversary of the Exhibition of Independent Artists in 1910 held at the Delaware Art Center Wilmington and the Graham Gallery, New York. Dabo died in New York City on November 7th. 1. A substantial portion of the research herein was provided by the owners of Stillwell House, an Antique & Fine Art Gallery. Manalapan, NJ, 2011. 2. Hartmann, Sadakichi Harmann. The Whistler Book. Boston: L.C. Page & Co., 1910. 3. 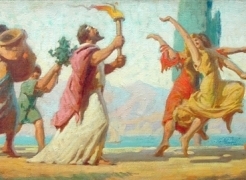 Narodny, Ivan. American Artists. 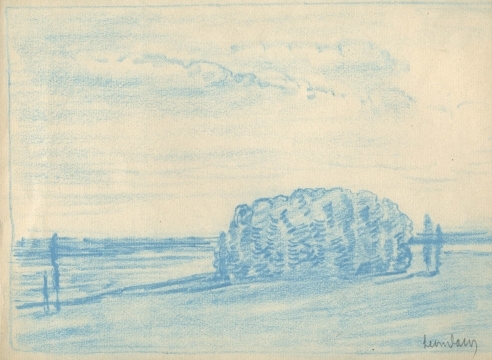 New York: Roerich Museum Press, 1930. 4. Gimpel, Rene. Diary of an Art Dealer. New York: Farrar, Strauss & Giroux, 1966. 5. Sweeney, J. Gary. 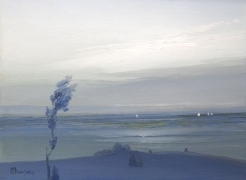 Artists of Michigan From the Nineteenth Century. Muskegon:Muskegon Museum of Art, 1987. 6. Weber, Bruce and William Gerdts. 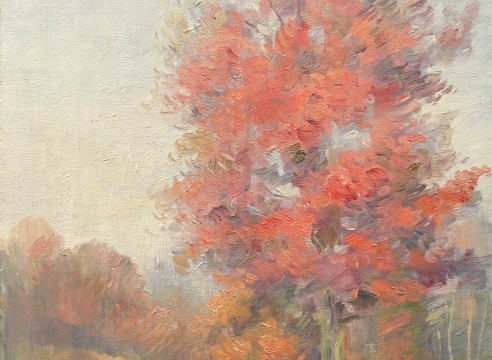 In Nature's Way: American Landscape Painting of the Late Nineteenth Century. West Palm Beach, FL: Norton Gallery of Art, 1987. 7. 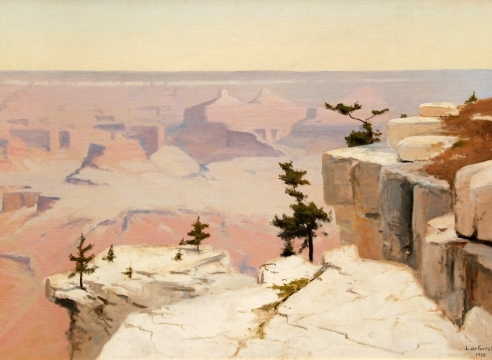 Tottis, James W. Forging a Modern Identity: Masters of American Painting Born after 1847; American Paintings in the Detroit Institute of Arts, Vol. III. Detroit: Detroit Institute of Arts, 2006. 8. Cleveland, David. 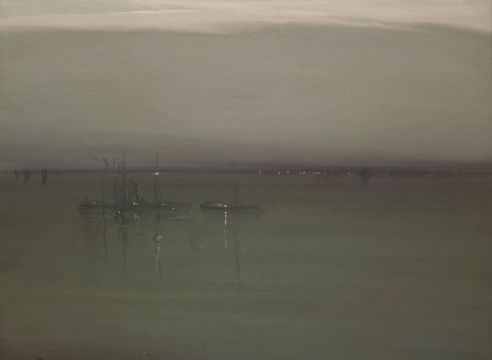 A History of American Tonalism. 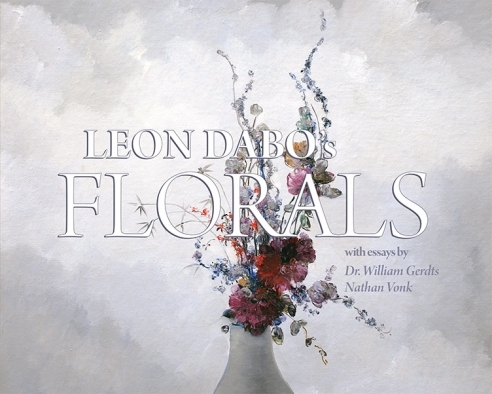 New York: Hudson Hills Press, 2011.